Went out today, weather forecast somewhat unsettled. Turned out nice, though, and no rain. 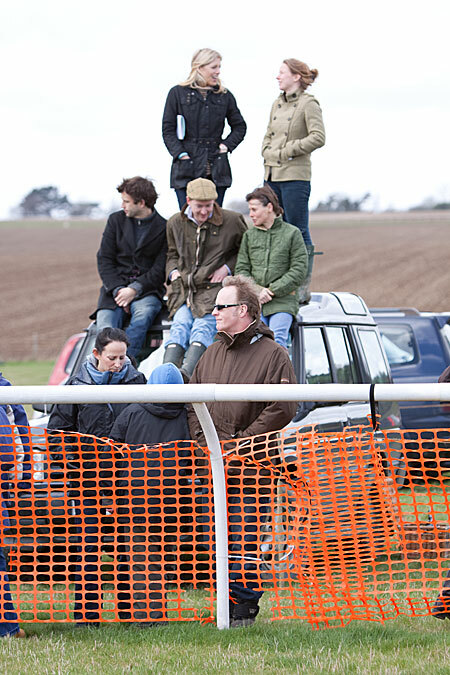 First time at a Point to Point, the Easter weekend event. Its just off the A20, near Charing in Kent. Earlier rain had made the ground good for racing, not so good for the cars parking on the grass in places. Some of the action. I didn’t bet on any, I’m never that lucky! Jumping the final hurdle in the Open Maiden Race, Charing, Kent. The announcer introduced a ‘celebrity’ to speak, as “Damian Hill” and I thought, ooh, I’ll rush up and get a shot of Damon Hill, the ex-F1 racing driver. Turned out it was Damian Green, the local MP. Not nearly as charismatic. Four riders in the Mens Open rounding the final bend. I found a nice little spot with the sun behind me to capture the riders as they thundered round a bend in the course just of the A20 at Charing, Kent. 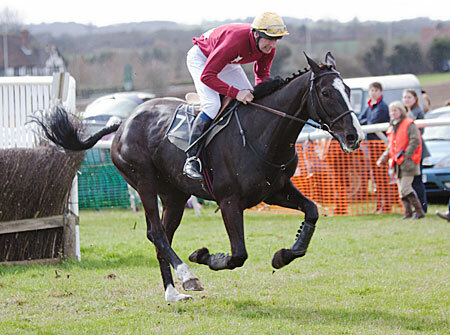 Point-to-point races are amateur, mostly run by and for the benefit of the local hunt. It is a form of amateur horseracing over fences for hunting horses. To run in a point-to-point race you have to register a hunter’s certificate at Weatherbys. Horses qualify for the certificate by going out to hunt for a set number of days in the season. The sport is very popular, and some 4,000 hunter certificates are issued each year, together with about 1,000 rider’s permits. There are more than 200 point-to-point fixtures each year, run on 117 different courses. I had no idea it was so popular. 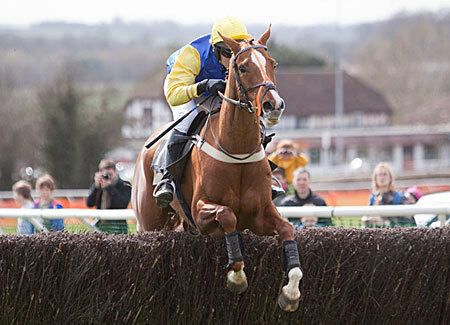 Point to Point racing Regulations in the UK and Ireland require all races to be run over 3 miles, however, maiden races for young horses (aged 4 to 7) can be run over 2 miles 4 furlongs. 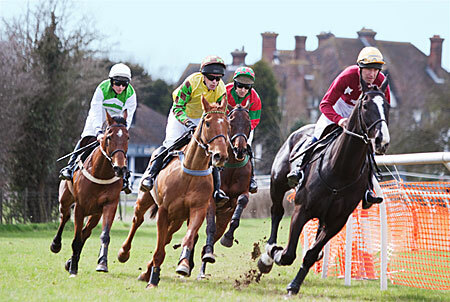 A three mile race is almost invariably 2 circuits of a typical point to point course and every course must have a minimum number of fences and at least 2 fences must have ditches. The course at Charing is a long rectangle, and the riders at the far end of the course can be seen racing along the top of the hill, so there’s pretty good visibility. Definitely the place to wear your Barbour and green wellies and park up your Chelsea Tractor. Some found a practical use for their 4×4. A grandstand view of the course from the roof. There was a whole village of fast food, crepes, tea, beer tent. Seemed like a lot of people went prepared and took a picnic. 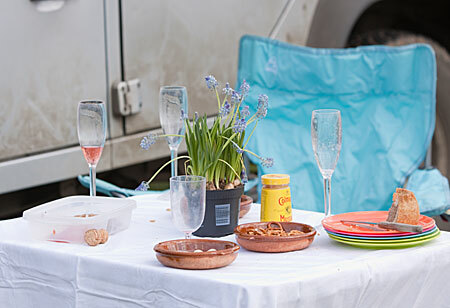 Complete with pink champagne and flowers for the table. Now that’s classy.